Who’s excited for this year’s Boxtumes?! 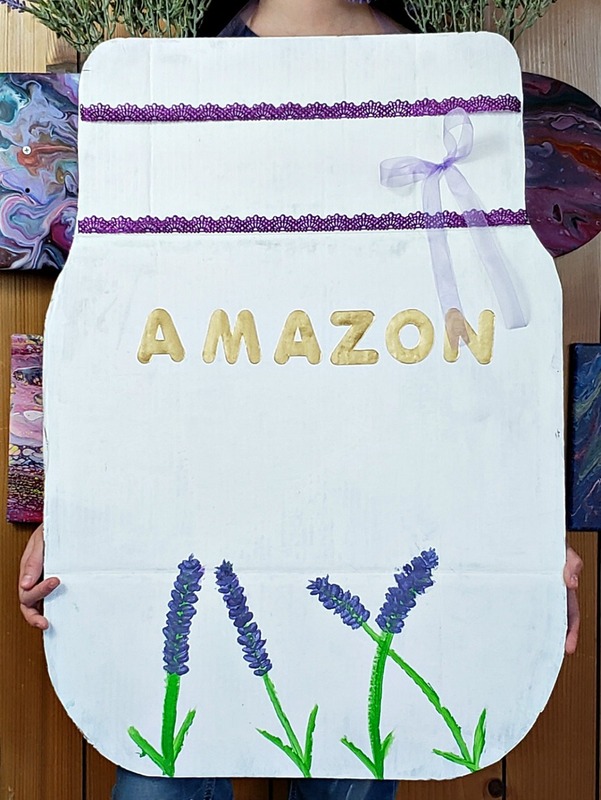 Last year, we made a really cute Needle and Thread Costume with Amazon smile boxes. This year, we’re sharing a tutorial for an adorable Mason Jar Flower Vase Boxtume. 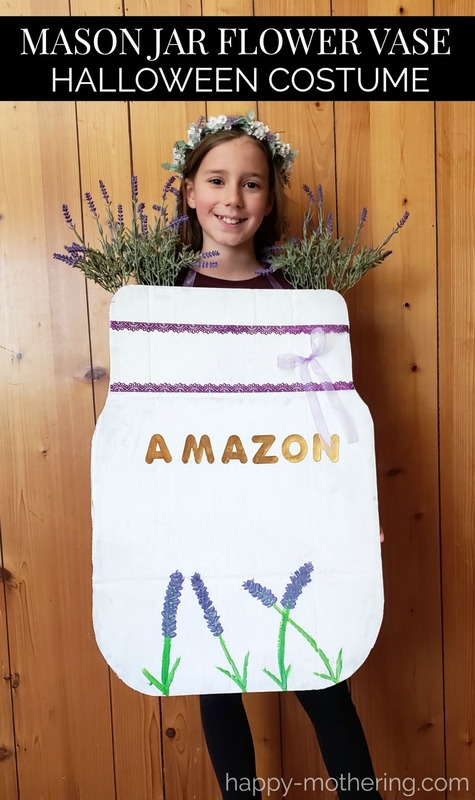 Boxtumes are fun costumes you can make at home with Amazon smile boxes and whatever crafting supplies you have on hand. Anything you might need, you can get from Amazon.com. 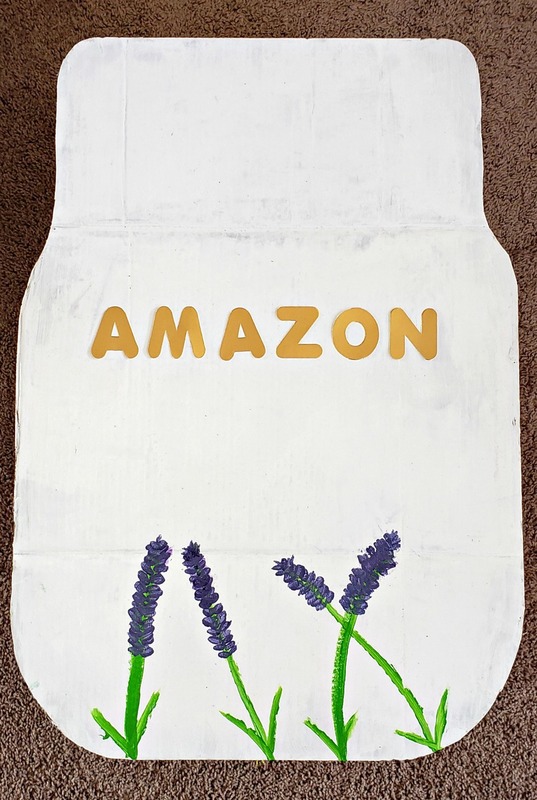 Since we live in the mountains, I do a ton of our shopping with Amazon. We don’t have a lot of stores here, and it’s so great to be able to get things delivered quickly without needing to drive down the mountain. 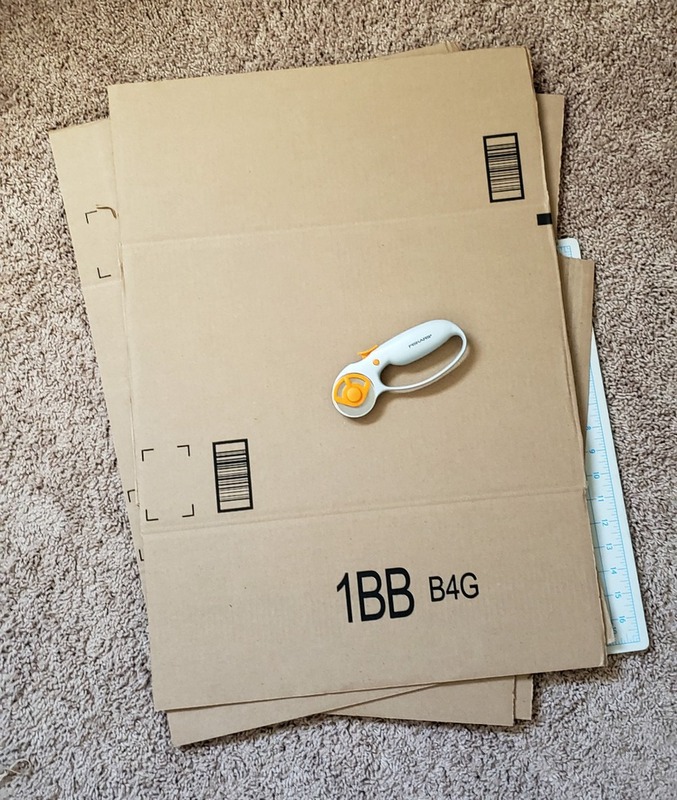 We always have a ton of Amazon smile boxes laying around. 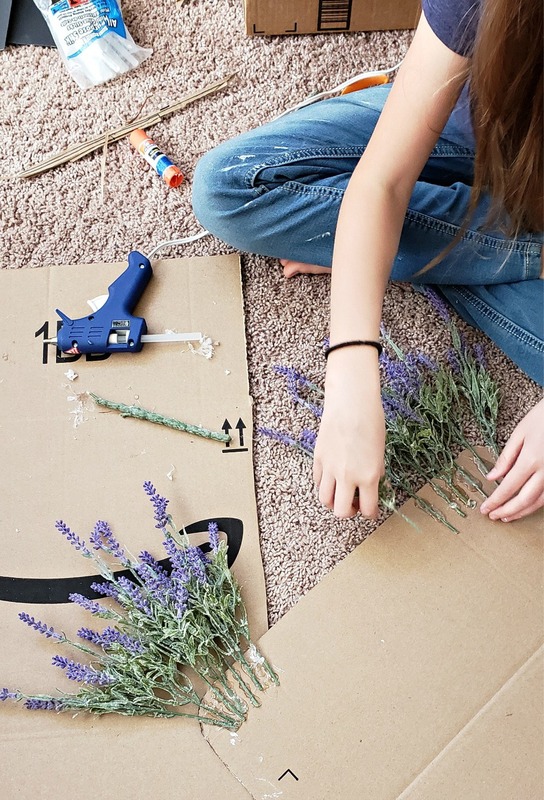 You’d be surprised how crafty you can get with used shipping boxes! In addition to costumes, you can make DIY treat containers, party decorations, face masks and more. If you want to participate too, make your own #boxtume and share it on social media. 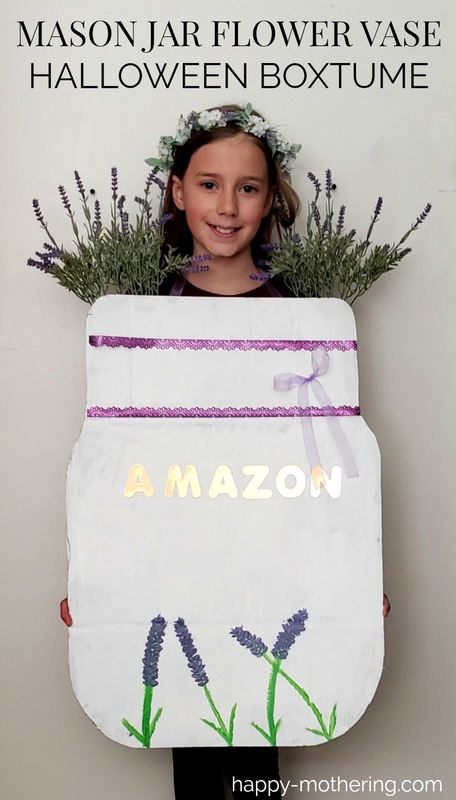 Be sure to share using #morethanabox and #amazonprime to be part of the fun! Take your Amazon smile box and separate it into four panels. I used a box labeled 1BB for this size. 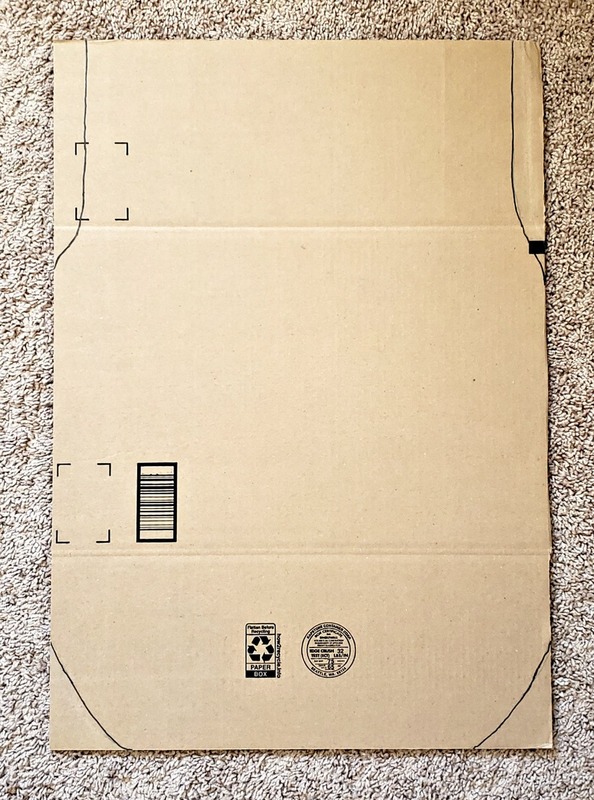 You can use a smaller box for a smaller child. This size is even big enough for an adult. 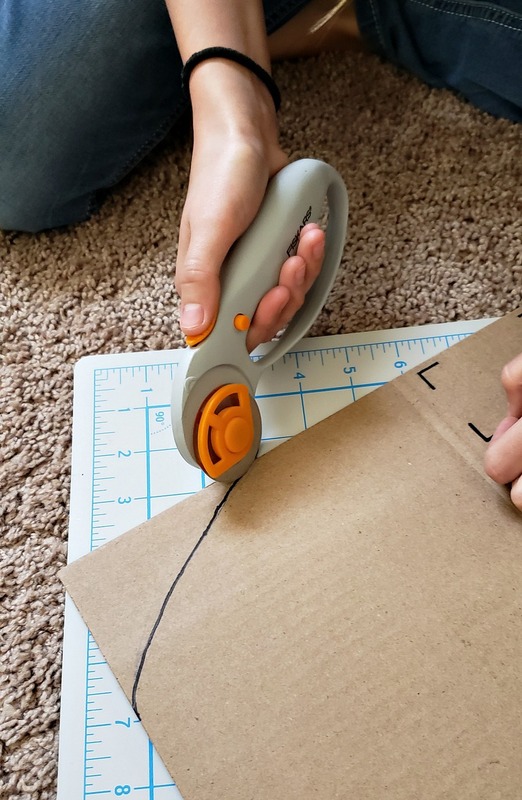 Draw a shape of a mason jar onto the back side of one of the Amazon smile box panels. 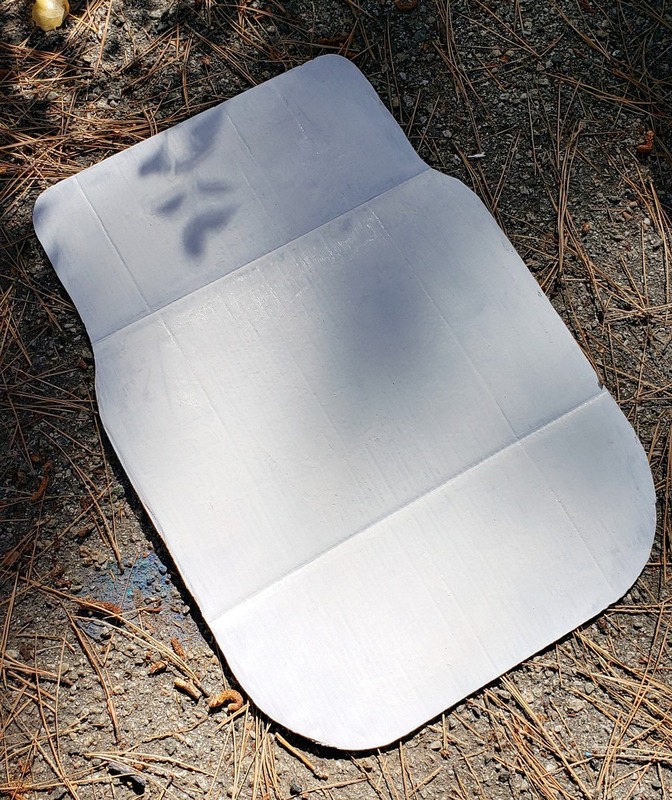 Make sure to use the side with writing on it and leave the blank side clean. If you plan to walk in the costume, make sure it does not go below your knees. Once you’re happy with the shape you’ve drawn, use your circular cutter (or an xacto knife) to cleanly cut out your mason jar shape. Paint the box panel white, then allow it to dry. 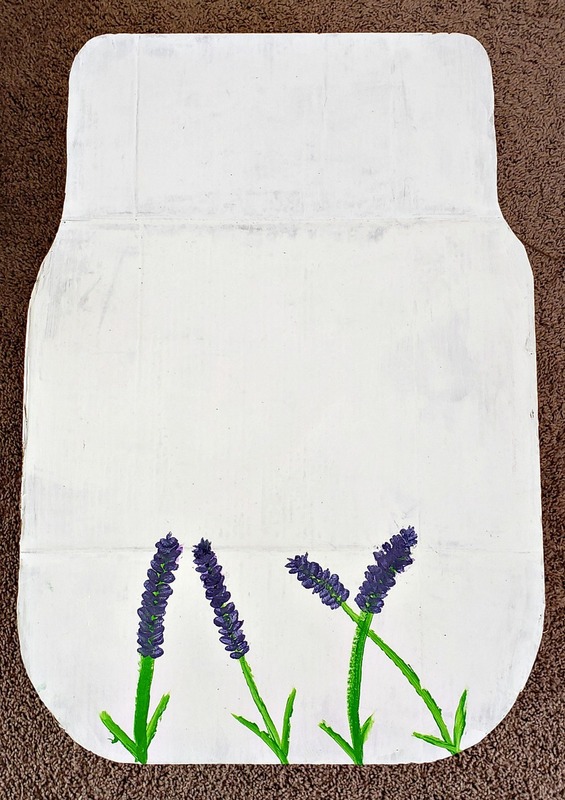 Once the white paint is completely dry, paint your lavender flowers. 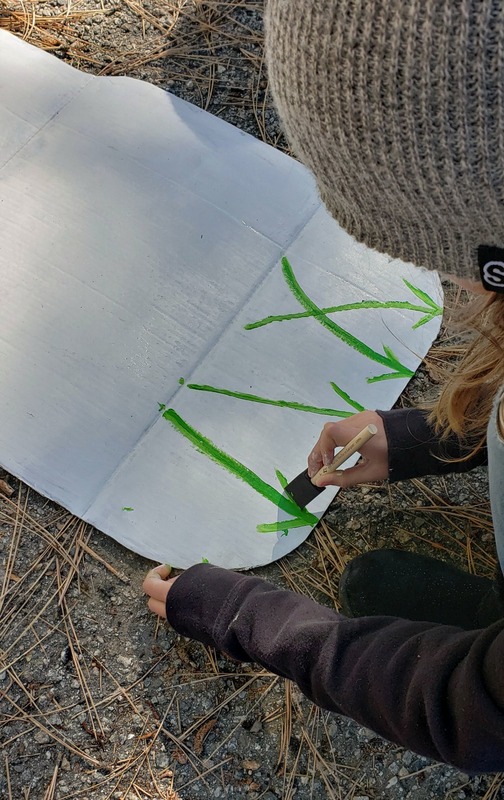 You’ll paint the stems first. 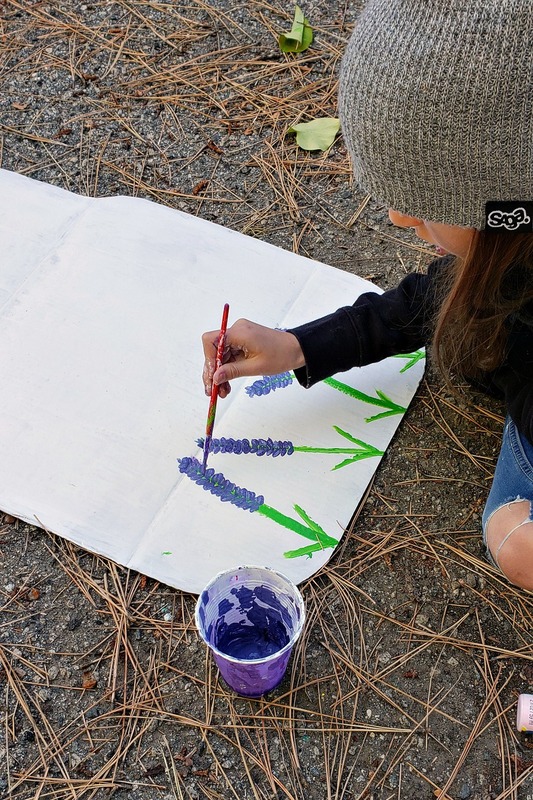 Next, paint the lavender petals over the stems once they’re dry. Allow that paint to completely dry. Glue the letters on the front. You can use your child’s name or mason jar or anything creative you come up with. You can alternatively paint the letters on. 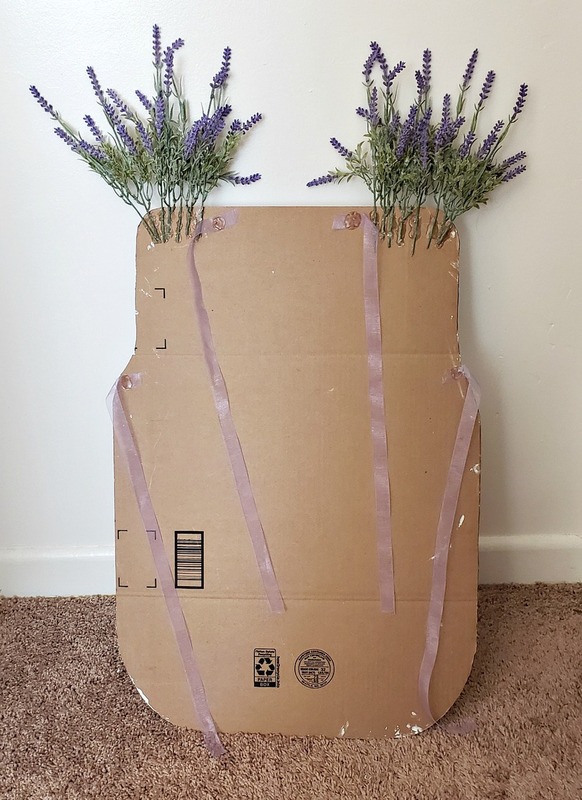 Flip the mason jar over, and glue your lavender flowers onto the back. We clipped each stem from the bunch to reduce the weight. Glue ribbon onto the back of a panel. Imagine that you’ll be tying it on just like an apron, so you need ribbon around the neck and the waist. Make sure it’s glued on well. You may want to add a staple for extra support. Add decorative tape and bows to finish off your mason jar flower vase costume. Make sure everything is completely dry before putting on your costume. Top it off with an adorable lavender flower crown. Have you made a Boxtume? I want to hear your ideas! Be sure to Pin this post to your Halloween or Mason Jar boards!